Indian weddings are unique and exciting. If you got the invitation to attend an Indian wedding, you would be interested in getting to know more about it. Then you can easily understand what to expect at an Indian wedding as well. All the people who visit Indian weddings tend to wear bright clothes. 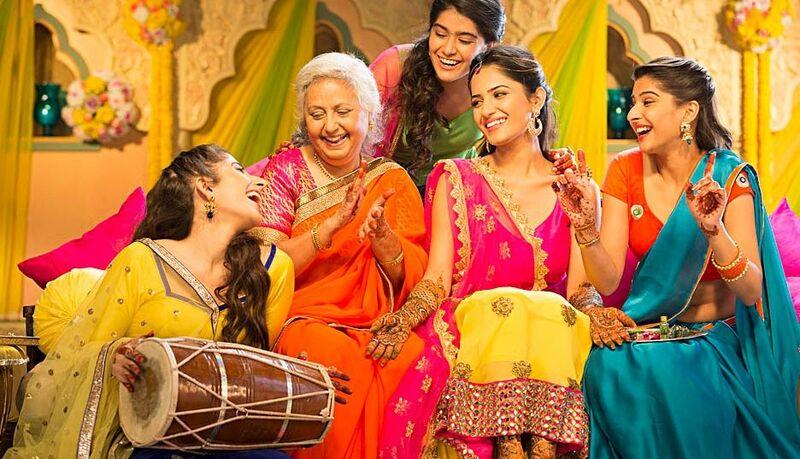 Therefore, you shouldn’t be afraid to wear bolder colors when you are visiting an Indian wedding. This will help you to blend perfectly well with the other guests who are present at the event. In addition to the vibrant colored clothes, you should also think of wearing eye-catching jewelry. In case if you don’t have a traditional lengha or a sari, you don’t need to worry about anything. All you have to do is to get a jewel tone dress and it will look great on you. 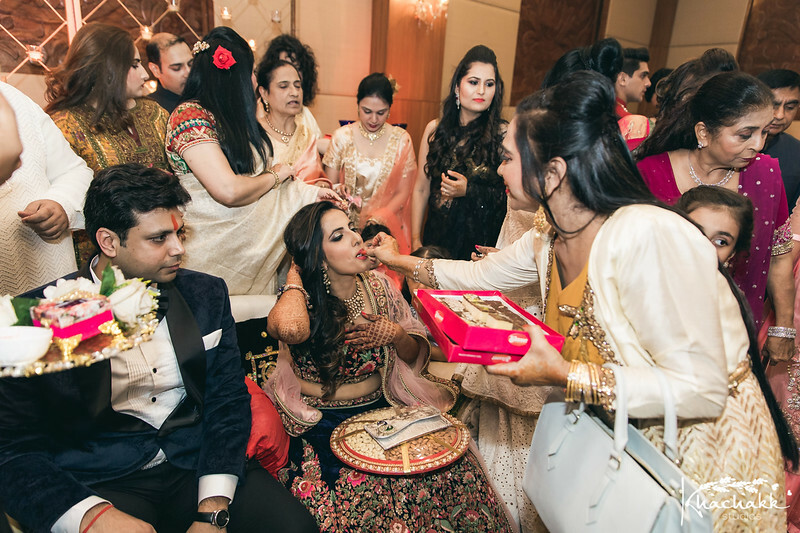 When it comes to Indian weddings, you can see a large number of pre-wedding rituals. Here is a quick look at those pre-wedding rituals followed. 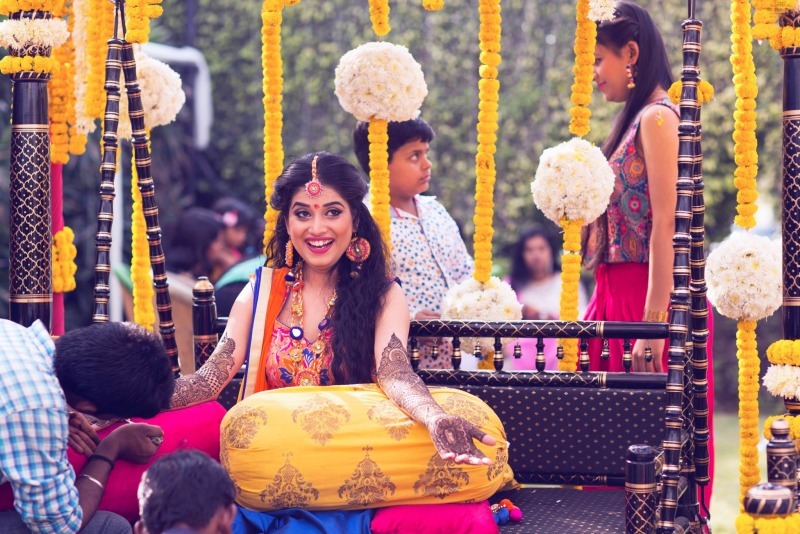 When you get to know about these pre-wedding rituals, you will be in a better position to catch the excitement linked with the Indian weddings. Sagai can be considered as the official engagement between the Indian couple. It is a grand ceremony, which will take place one month before the wedding. At Sagai, the friends and family members get together and celebrate. During this event, the bride will be fed with milk and boiled rice. It is provided by the family of the groom. In addition, the couple exchanges rings at this event. Shagun is the event that takes place in order to mark the acceptance of the bride to the family of the groom. Along with that, this ceremony will take place. At the event, a group ladies will come to the home of the bride. It will take place one day before Sagai. They will be coming along with the outfit, which the bride will be able to wear at Sagai. In addition, they will come with mawa, fruit, sweets and jewelry as well. Sangeet is a musical celebration, which takes place along with the Indian weddings. It is organized by the family of the bride. In here, the ladies of the bride’s family get together and surround the bride. Then they keep on singing folk wedding songs and dance. They do it while circling the bride. The groom and the friends of the groom are also invited to take part in this musical festival. The dance performances of the participants will be choreographed by professionals. Hence, it would be a unique and an outstanding event. Mehendi can be considered as a tradition that is strongly linked with the Punjab weddings. In here, the bride will sit down on a special tool. Then another person will apply henna paste on the hands of the bride. Henna paste will also be applied on the feet of the bride. These henna designs are elaborate and intricate. What’s more interesting about these paintings is that the initials of the groom are embedded in them. Brides love to get their hands on darker colored Mehendi as it can make them look really good. It is also important to keep in mind that the Indian weddings last for several days. On average, a typical Indian wedding will last for a duration of three days. On the very first night, a priest will be performing Ganesh Pooja. It takes place with the couple and their close relatives. On the second day, the Mehendi ceremony will take place. Not only the bride, all other female friends of the bride will also get henna paintings on their hands as well as feet. On the same day evening, Sangeet will take place. For the Sangeet, all the guests will be invited. At this event, there will be an introduction to the families of the couple. They will be mingling with each other. In addition, they will be served with meals and they will dance for music on the rest of the day. On the last day, the main wedding ceremony will take place. It is followed by the reception and a cocktail hour. Most of the guests are invited to these celebrations on the last day as well. The rituals and procedure of a wedding differ with respect to the religion, region of India, local adaptation, the assets of the family. Hindu weddings have a couple of popular rituals– Kanyadaan, Panigrahana, and Saptapadi; these rituals involves gifting out a daughter by her father, by holding her hand near the fire to imply an approaching union, and making seven footsteps also known as phera, before flame with each phera including common promise the bride and groom makes. After the seventh phera and the promises, the couples are now lawfully married. Jain and Buddhist weddings in India, are based on their own individual religious thoughts and writings. Sikhs get hitched through a function called Anand Karaj held in gurudwara, a ritual introduced by the third pioneer of Sikhism, Guru Amar Das Ji. The couple strolls around the sacred book, the Guru Granth Sahib four times which is called Laavan-Phere. 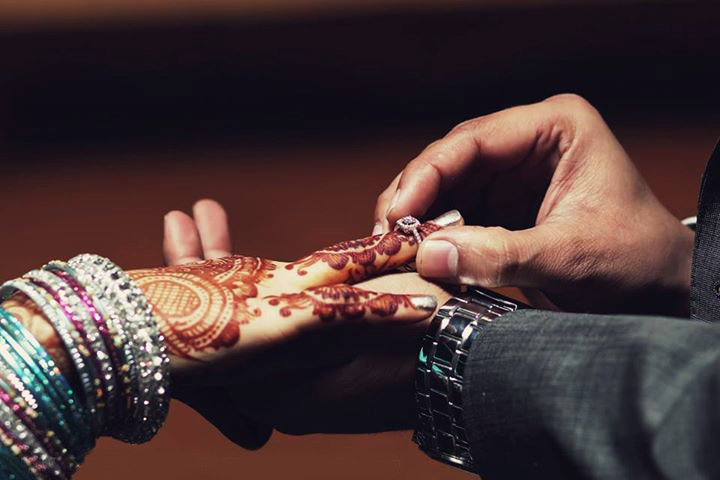 Indian Muslims commend a traditional Islamic wedding with the rituals features Nikah where the bride and groom says “kabool hai” for 3 times, payment of financial dowry called Mahr by the groom to the bride, marking of the marriage contract, and a gathering for the dinner. Indian Christian weddings take when traditions like those adopted in Christian nations of the West in states like Goa which have a lot of Indian traditions in many states. 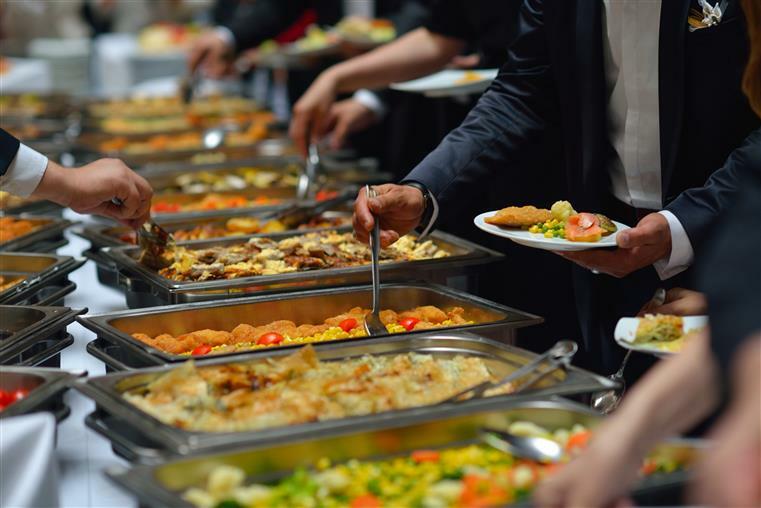 You need to have a clear understanding about food that will be served at the Indian weddings. Otherwise, you will have to deal with a lot of frustration. Some people believe that food served at Indian weddings are all vegetarian and spicy. This fact is not true at all. In fact, it depends on the part of India, where the families are coming from. At the Indian weddings, you will usually be able to see a series of naan with many other curries. In addition, you can find samosas, pakoras and a dessert display. What kind of gifts should be taken to an Indian wedding? When you are visiting an Indian wedding, it is a must to get an appropriate gift as well. On the other hand, the couple will also give gifts to the guests. These guests are given in order to thank the guests for spending the most beautiful day in their lives. 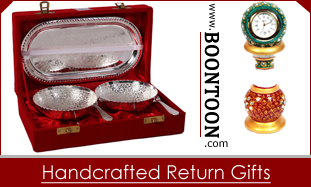 Here is a list of some of the best Return gifts out of them. If you are planning to host an Indian wedding or you have plans to visit a one, you need to pay attention towards this fact as well. Then it will be possible to make sure that everyone is happy with the gifts received at the end of the day.